Portobelo is an economically depressed district in northern Panama. Its fewer than 10,000 inhabitants, most of African descent, are among the poorest in the country. Yet, Portobelo is rich in its natural beauty, cultural traditions and historical sites and that is what a group of its residents and municipal authorities thought could help attract tourists to their sleepy district. To help develop tourist-related microenterprises, community leaders selected Centro de Estudio para la Promoción del Desarrollo (PRODES), a nongovernmental organization with a long track record of working on behalf of low-income communities. In 1998, PRODES proposed to the IAF a program of training, technical assistance, credit and cultural promotion that would help develop microenterprises capable of improving conditions for 1,000 Portobelo residents. In 1999, the IAF awarded PRODES a grant of $286,900 to be disbursed over three years. The grant agreement was later extended and supplemental funds added so that IAF funding eventually totaled $409,250 disbursed through 2005. PRODES used its funding to coordinate short training courses in business administration, budgeting and financial management, eco-tourism, agriculture (to supply restaurants), craft production and conservation. It also created a $100,000 loan program for low-income families engaged in tourist activities. 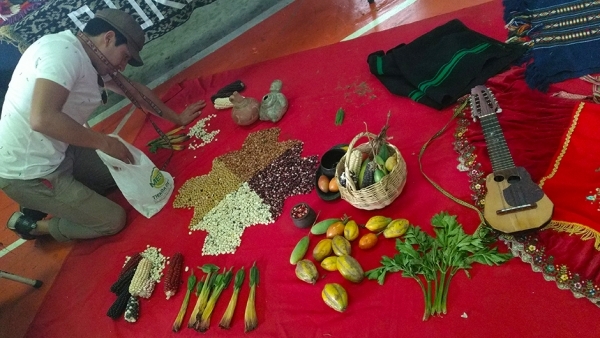 Research on Afro-Panamanian folklore and history provided the basis for promotional materials and served to educate residents, including young people, about their cultural heritage. Between 1999 and 2005, PRODES facilitated the creation of 147 jobs and 38 additional jobs from the end of the grant period to April 2011. Women hold 70 percent of the jobs created. Three-fourth of the jobs created, mostly in the retail and service sectors, are attributable to the credit program. Before PRODES received its IAF grant, residents had no access to credit toward starting, expanding or improving a business. By the end of the grant period, PRODES had extended 86 loans worth $114,362. Women accounted for 66 percent of the loans extended. Between the end of the grant in 2005 and 2011, only 14 loans worth $18,900 have been extended. In a survey conducted by the evaluator, 95 percent of the borrowers interviewed felt their living conditions had improved because of the credit program. An equal percentage felt the training offered with the loans improved their business decisions. PRODES was instrumental in reviving the biennial Festival de Congos y Diablos, a cultural event rich in Afro-Panamanian folklore that attracts thousands of tourists. The dances of devils and runaway slaves, or Congos, mocking slave owners symbolize the triumph of good over evil. Using local teachers to educate students in conservation did not go as planned. The teachers did not feel obligated to continue the program once the grant terminated. Government bodies, such as the National Environment Authority and the Ministries of Health and Agricultural Development, did not have the resources to assume the responsibility for educating the public on conservation. The original goal was to train 45 tour guides. Instead, 100 students ages 12 and 13 were trained as guides. Of these, 13 were selected for further training because of their knowledge of Portobelo’s history. Twelve trainees became part of the “New Generation” group of guides, which eventually disbanded as the young teenagers got older and disenchanted with their sporadic assignments and miserly income from tips. Two original members of the group are enrolled in related university courses. The rest found steady employment to support their families. Despite the mixed results of its project, PRODES had a positive impact on residents of Portobelo. 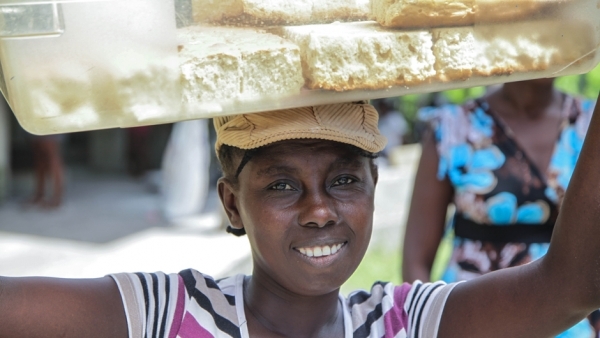 The loan program allowed them to improve their businesses. Candida Rosa Palma, for example, received several loans from PRODES, which she used to remodel her tourist cabins and buy equipment for her restaurant (see photos below). Candida employs five individuals on a part-time basis during the off-season and eight during festival. Edilma Vásquez used her loan to build a small inn, Hospedaje Vista de Sueño, on land donated by her family. Sisters Laura, Margarita and Amelia Marín received two loans to remodel their restaurant. Through cooking courses sponsored by PRODES, they acquired skills to apply in their restaurant Grupo Marín. Artisans in PRODES workshops created new designs, including Congo dolls coveted by visitors. PRODES publications about Portobelo’s heritage inspired Nolis Boris Góndola, a teacher, to write books and magazine articles on the Congos and their dances. The Festival de Congos y Diablos has revived interest in Portobelo. The Panamanian Tourist Authority is promoting the Festival in Panama and internationally, along with the festivities for the Black Christ, which bring tens of thousands of pilgrims to Portobelo every October. With support from the Spanish Embassy and the National Culture Institute, Fundación Portobelo and Grupo Realce Histórico de Portobelo have organized the last three Congos y Diablos festivals. Participants in PRODES’ project acquired greater pride in their Afro-Panamanian culture and history, which had suffered as a result of the influx of migrants from other parts of the country and the dominance of pop culture. The revival of Afro-Panamanian folk dances improved self-esteem and the improvement lasted beyond the end of the grant period. Probably the biggest threat to the sustainability of the loan fund originated with the committee responsible for safeguarding it. Some of its members, who were themselves borrowers, had the impression that because a donor funded the loans, they should not be repaid; setting a bad example for others. This decapitalized the fund, and by April 2011, the capital available to lend totaled just $14,932, from a starting balance of $100,000. Comité Distrital Amalia Garay viuda de Luque (Committee), a grassroots organization responsible for coordinating IAF-funded activities with technical assistance from PRODES, disbanded due to internal strifes. What worked: PRODES’ research into Afro-Panamanian folklore and history yielded various publications, including a cook book, books on poetry and folk dances, four issues of the Congo Brotherhood Magazine, an art magazine and a compendium of children’s essays. The revival of the Festival de Congos y Diablos brought back pride to Portobelo’s residents and new opportunities for many of its microentrepreneurs working in the tourism industry. And PRODES’ networking with other institutions proved valuable to keep the Congos y Diablos Festival going after the end of the project. Training children to become tour guides was deemed by project organizers to be a safer option for children who did not finish their schooling than working as machetero, or landless laborer, which was physically demanding and dangerous. However, as the children grew and became adults with families of their own, they could not rely on tips to support themselves and their families, and all but two, abandoned their jobs as guides. PRODES’ credit fund was plagued by problems, ranging from a low turnover rate of its loans portfolio to misappropriation of funds. Distrust and infighting among members of the committee charged with coordinating community development jeopardized the success of the project as originally envisioned. There was no coordination between Portobelo’s entrepreneurs and external tour operators, who as a result, never brought their clients to local establishments for food or lodging. Despite its setbacks, the PRODES project helped many microentrepreneurs take advantage of new opportunities in the local tourist economy, generating wider socio-economic benefits for Portobelo’s low-income population. It also helped promote a sense of cultural pride and self-esteem among the local population by supporting research on local Afro-Panamanian folklore and history, and publishing the results in promotional materials that helped increase tourist interest and appreciation for Portobelo.